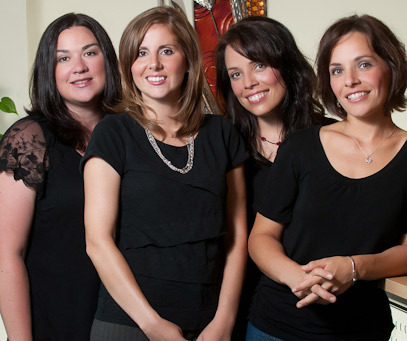 We’ve been delivering quality chiropractic care to the Greater Portland community since 2008. We first began in this location in April 2009 and chose 260 Western Avenue in South Portland for its proximity to many local businesses, bus lines, and convenience to the major arteries of I-295 and the Maine Turnpike. We have always felt that chiropractic is a personal thing and do not believe in the standard care plan for everyone, i.e., three times a week for six weeks, two times a week for four, etc. When we recommend care, it is because we are looking to find that place that works best for each person’s body. Respecting each person and his or her needs comes first. Our office is one of friends. We believe that the body is a self-healing, self-regulating organism, and if we unravel the causes of interference, we can enjoy health at the level appropriate for each individual. Our ideal client is someone who is an active participant. If we suggest a lifestyle change, they are willing to jump in and try at least some form of it. People change and grow at their own pace, but the willingness to change is paramount to life. These people seem to get the best results because they want results. We would like to see an increased level of awareness that the body can function well with a little bit of knowledge, some accountability, some education and movement. 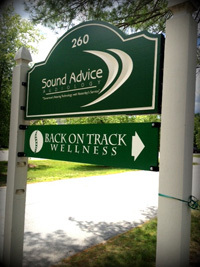 If this approach makes sense to you…call Back On Track Wellness at (207) 899-0806 to get started.